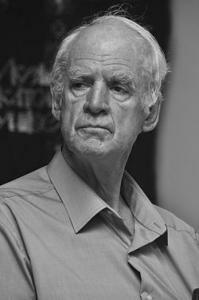 Charles Taylor is a prominent figure of contemporary philosophy. His works are indispensable points of reference in the discussions concerning multiculturalism, communitarianism, and liberalism. In 2007, he was awarded the Templeton Prize; in 2008, he received the prestigious Kyoto Prize. In June, 2012, the Eötvös Loránd University, the Central European University, the French Institute of Budapest, and the Centre d’herméneutique phénoménologique of Paris IV Sorbonne dedicated a joint workshop to Taylor’s oeuvre in his presence, whose material was published in 2014. With respect to language, the papers of the book are split almost equally between English and French – another gesture of tribute to the Canadian philosopher who was raised in a bilingual family with an English-speaking father and a Francophone mother, and who was appointed to the Conseil de la langue française – the body advising the government on questions regarding French language – in the province of Quebec in 1991. 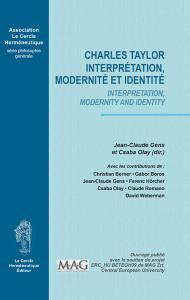 In his paper “Dialogue et compréhension: Les communautés d’interprétation à l’épreuve du pluralisme”, Christian Berner starts from the thesis that some of the central topics of Taylor’s work facilitate the renewal of hermeneutics. Surpassing the problems of interpretation, they lead to philosophical questions that are theoretical and practical at the same time. First, the author presents Taylor’s concept underlying the hermeneutics in question, according to which humans are ’self-interpreting animalsʼ who constitute and define their identity by mutual understanding, and dialogic relationships with others; who form, in Berner’s words, ʽcommunities of interpretation’, that is, societies unified by certain interpretive schemes. Since these societies understand themselves in the light of the fact that they are plural, hermeneutics necessitates reflection on the mediation between interpretive communities. In the final part of his paper, the author thus outlines Taylor’s concept of intercultural understanding. So as to avoid both ethnocentric universalism and relativism, the Canadian philosopher, drawing on Gadamer, urges understanding via dialogic interaction which, instead of aiming at acquiring some neutral, objective knowledge of the object, strives to enable joint action and a revision of our self-definitions due to our confrontation with alterity. Concerning the latter feature, Berner concludes his analysis by discerning a difference between the two philosophers’ theory of understanding. Unlike Gadamer, Taylor emphasizes that understanding cannot be separated from self-criticism. In his paper entitled “Charles Taylor and the ’Affirmation of Ordinary Life’: General Remarks and a Case Study on Lady Damaris Masham’s Concept of Love”, Gábor Boros enters into a dialogue with Taylor’s Sources of the Self (1989). Whilst not questioning the fundamental validity of Taylor’s account on the early phase of philosophical modernity, he does have some critical observations in some respects. In lieu of the concept of a unilinear historical development that can be summarized in a single narrative, he advocates the notion of ’plurilinear’ history implying several narratives. Thereafter the author examines Lady Damaris Masham’s A Discourse Concerning the Love of God (1696), exemplifying Taylor’s thesis that the affirmation of ordinary life belonged to the main features of the transition to modernity. Against the Anglican priest, John Norris, Lady Masham argued that not only the love of God, but also the love of creatures involved desire. Even though Boros presents his analysis to support Taylor’s concept, he widens its perspective as well. Whereas Taylor’s term ʽthe affirmation of ordinary life’ only designates the approval of those aspects of human life that are related to production and reproduction (principally to labour, marriage, and family),1 Boros draws attention to the importance of communities querying the significance of institutional marriage or its received view in modernity. In his “L’entente interculturelle à l’âge écologique”, Jean-Claude Gensbuilds on Fred Dallmayr’s distinction between ’weak’ understanding aspiring to ensure pragmatic–strategic communication2 and the conditions of a moral–universal discourse on the one hand, and, on the other hand, a ’strong’ one characterised by an ethical–hermeneutical dialogue that seeks to understand other modes of being and thought. Whereas the former has as its objective the elaboration of the formal conditions that can guarantee a correct communication, the latter is called upon according to Gens by the questions of the ecological crisis, including the pollution of oceans and the accelerating reduction of biodiversity. The author examines in detail the conditions of ’strong’ understanding, and – supplementing Taylor’s theory that calls for a multicultural politics of recognition – he concludes that genuine intercultural understanding has to be based on existential grounds. It can only come into being between identities that, being aware of their openness and ’porosity’, are problematic for themselves, too, where this problematicity can never be overcome by a recognition confirming them in their being. According to Gens, no dialogue can take place between local and global, scientific and non-scientific accounts of the world otherwise. Nonetheless, after analysing the conditions of possibility for intercultural understanding, the author also addresses the limits of analysis. Experience shows, he writes, that encounters with other cultures lead to the questioning of one’s own culture only in exceptional cases, since cultures, just like individuals, tend to entrench themselves in the comfort of their certainties. In his paper “Sources of the Other. The Humanities and the Arts in Taylor’s Criticism of Modern Individuality”, Ferenc Hörcher traces certain key features of Taylor’s philosophy back to Christian–Aristotelian roots, including its emphasis on the social embeddedness of the individual in contrast with Western modernity’s notion of atomistic individuality. In Hörcher’s analysis, among others, the following theses of Taylor’s philosophy derive from similar sources, as well: 1) Since human sciences cannot provide an adequate picture of the communal aspects of human nature, a resort to human sciences is required. 2) Only these sciences can properly take into consideration the individual’s life story and social embeddedness; the role of narrativity, language, and of ‘the habituated culture of body politic’ (80.) in the formation of identity. 3) Human sciences draw attention to the significance of the other, that is, the self’s binary opposite. As Hörcher points out, Taylor’s important contribution in this regard is that he expands the singular concept of the Other stemming from French phenomenology. He incorporates an Aristotelian-communitarian element in it by allowing it to encompass the whole community on the one hand, and, on the other hand, including the notion of the human being as homo religiosus into his account of humans, thereby extending the reference of ’the other’ to God – the divine other. Csaba Olay, polemizing in his “Interpretation in Gadamer and Taylor” against Nicholas H. Smith’s views, reveals essential differences between Taylor’s, Heidegger’s and Gadamer’s ideas that make the pursuit of integrating Taylor’s oeuvre in the tradition of hermeneutics rather problematic. The author detects a shift in emphasis between Taylor’s and Gadamer’s theories. Altough Gadamer opposes the dominance of natural sciences too, and considers the critical assessment of the modern age as the age of science to be the task of philosophy, modernity is still not of primary concern in his hermeneutics – whereas investigation of modern identity plays a central role in Taylor’s work. Furthermore, in contrast with Gadamer’s Truth and Method, Taylor’s focus overshadows the question of understanding artworks or texts, since his purpose is to provide an account of humans as beings whose constitutive features include interpretation. Although his philosophy bears resemblance to Heidegger’s concept of Dasein in this regard, Olay points out that Taylor, unlike Heidegger, does not problematize the traditional terms of ’subject’ or ’person’; besides, Heidegger’s concepts of understanding (Verstehen) and interpretation (Auslegung) are related to possible actions, contrary to Taylor’s self-interpretation concentrating on the self that is durable or yet to be achieved. In his paper entitled “Le Soi Implicite”, Claude Romano draws a parallel between Hegelian action-theory and Taylor’s concept of identity. Just as the latter regards reflected actions as superior to unreflected ones, Taylor’s theory accords primary importance to conscious identity. Having recourse to a distinction of Taylor’s that, besides Hegelian action-theory, also takes into account a theory of action connected to Romanticism that gives priority to unreflected, spontaneous action, Romano proposes a notion of identity which accentuates the implicit self underlying our decisions and aspirations. The implicit identity, as postulated by Romano, is a necessary condition of Taylor’s explicit, reflected identity; neither articulation nor identification would be possible without it. The author then criticizes Taylor’s theory of identification, arguing that the reflective evaluation of our desires does not suffice to determine whether a given desire is authentically ours or should be attributed to the influence of others instead. Finally, studying the relationship between authenticity, identity, and freedom, Romano formulates the thesis that, apart from the reflective evaluation of our desires, authenticity is an integral part of our freedom, too. Our will and acts can only be free in case they express us entirely; provided that they reflect the unity of our conscious and implicit selves. In his paper “On the Idea of Overcoming Epistemology”, David Weberman reviews Taylor’s anti-epistemological project. First, he examines what exactly constitutes the kind of epistemology that Taylor rejects. In his analysis, Taylor’s target is the supposition that in principle, there is a privileged set of truths separable from our background practices and beliefs, with the aid of which we can capture mind-independent reality. Then, he unravels Taylor’s reasons for dismissing epistemology taken in this sense. Here, the author discloses a redundancy in Taylor’s line of thought: the Canadian philosopher attacks epistemology not only on the grounds that our background beliefs and practices varying in time and space are necessary, constitutive conditions of all knowledge claims, but also on the basis of the assumption that we cannot give an exhaustive articulation of our background beliefs and practices. Nevertheless, as Weberman objects, the background in question would not be less constitutive of our knowledge even in case it could be made explicit. In the author’s view, traditional epistemology should be discarded inasmuch as our knowledge claims stem from background practices, rules, and values that, even if articulated, are only assessable for ’their worthiness of being preserved’ (144. ), and not for their truth. Finally, elaborating on the consequences of Taylor’s corrective epistemology, he brings forward the idea that the genealogical–hermeneutical approach does not necessarily exclude traditional epistemology. As indicated above, the papers of the book make up a colorful palette regarding their style of reasoning and their subject matter, in addition to bilingualism. As with Taylor’s works relying on diverse sources, they employ continental and analytical tradition, and philosophy preceding the division of the two trends alike; moreover, they touch upon the main topics of the Canadian philosopher’s extensive oeuvre, from his concepts of the human being and modern identity, hermeneutics, and epistemology to his theory of language and action. However, the book is not only recommended for those interested in the reception of Charles Taylor’s philosophy. It is worth studying by all those who seek to deepen their knowledge concerning notions that are packaged every now and then in simplistic tabloid slogans, such as multiculturalism or Christian love. Jean-Claude Gens – Csaba Olay (eds. ): Charles Taylor. Interprétation, modernité et identité. Interpretation, Modernity and Identity. N.p., Le Cercle Herméneutique Éditeur – Collection Phéno, 2014. 1 See, e.g., Charles Taylor, Sources of the Self. The Making of Modern Identity. Cambridge: Harvard University Press. 2001, 211. 2 Dallmayr’s term ’pragmatic–strategic communication’ is translated by Gens as ’stratégie pragmatique de communication’ (53.) which means ’pragmatic communication strategy’ or ’pragmatic strategy of communication.’ See Fred Dallmayr: Modalities of intercultural dialogue. In Samantha Wauchope (ed. ): Cultural Diversity and Transversal Values: East–West Dialogue on Spiritual and Secular Dynamics. Paris, UNESCO, 2006. 76–83., 79.